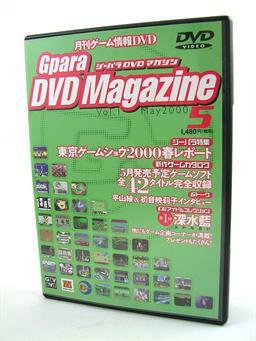 «©NCSX» GPara DVD is a video magazine which contains previews of 60 game titles for various consoles released in May 2000. Special features include a report from the Tokyo Game Show 2000 with previews of upcoming software, a visit with a Japanese shop that's a retro-game-lover's fantasyland, a look back at every Gradius game ever released, and a showcase on Ai Fukami of Ridge Racer V. An interview features Aya Hirayama and Eriko Hatsune who appear in Love Story. The best feature in this month's GPara DVD is the game shop visit. There's a bunch of rare handheld games in the store and the condition of their Famicom inventory is excellent. The stacks of boxes in the shop's storage area is oddly similar to NCS' stacks of inventory in our warehouse. The Tokyo Game Show section visits all of the major publishers' booths such as Konami, Capcom, Tecmo, Namco, Square, SNK, and then checks out the games of note within each of them. 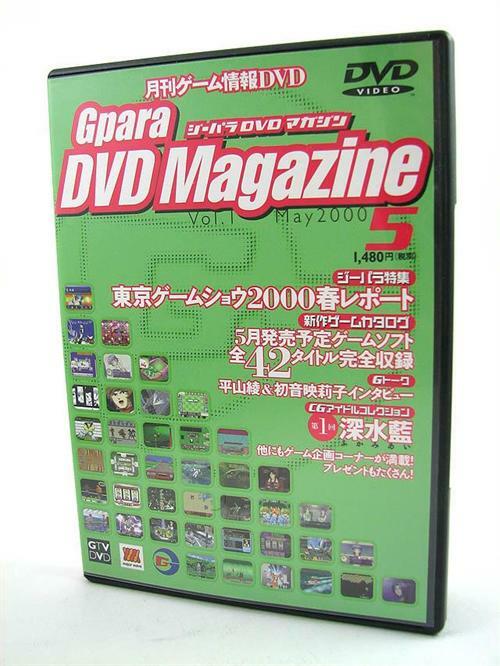 Please note that the Gpara DVD Magazine is a region-2 DVD that can only be played on a region-2 NTSC DVD player or a universal region DVD player. NCS' remaining inventory of Gpara DVD Vol. 1 for the Japanese DVD is brand new, factory sealed, and in excellent condition. Price: $9.90 per copy. This document is ©NCSX 2008, 2011. All rights reserved. No reproduction in whole or in part of this document may be made without express written consent of National Console Support, Inc.
One of our Japanese print suppliers has begun soliciting yearly subscriptions for Famitsu magazine. The latest Famitsu Wave includes print and video coverage of upcoming games and/or events in the Japanese marketplace. The September 2008 issue of Famitsu Wave DVD includes print and video coverage of upcoming games. Month in and month out, Famitsu Wave DVD captures the current climate of the video gaming scene in Japan.